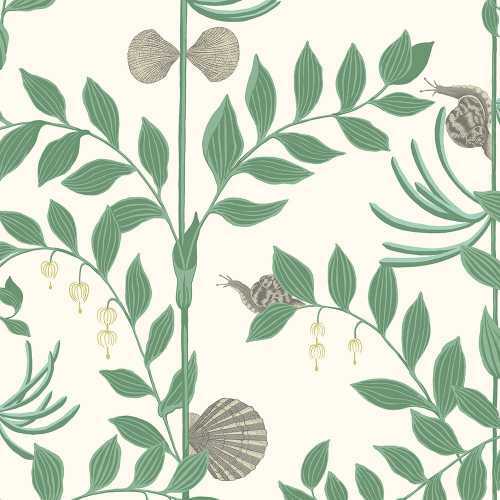 Named after Frances Hodgson Burnett’s popular children’s book and evoking the same sense of enchantment and a love of nature, this Secret Garden wallpaper brings the outside in. 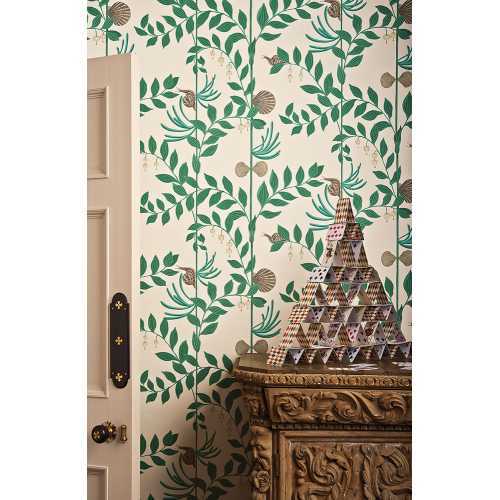 Striking and elegant it fits in perfectly with the rest of the Whimsical Collection by Cole and Son. The whole of this range is enchanting and inspired by the stories of childhood. This Secret Garden design has plenty of charming characteristics which make it stand out and add something new to your interior design. 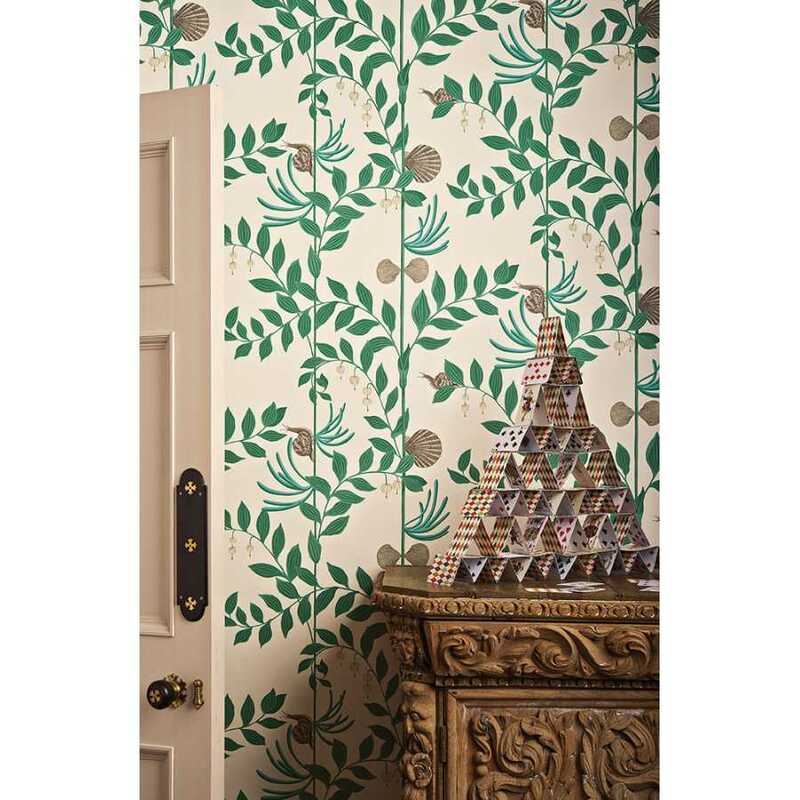 To begin with this Secret Garden wallpaper design looks like a simple classic floral choice but when you look more closely you’ll see the charming and fun additions Cole and Son have thrown into the mix. 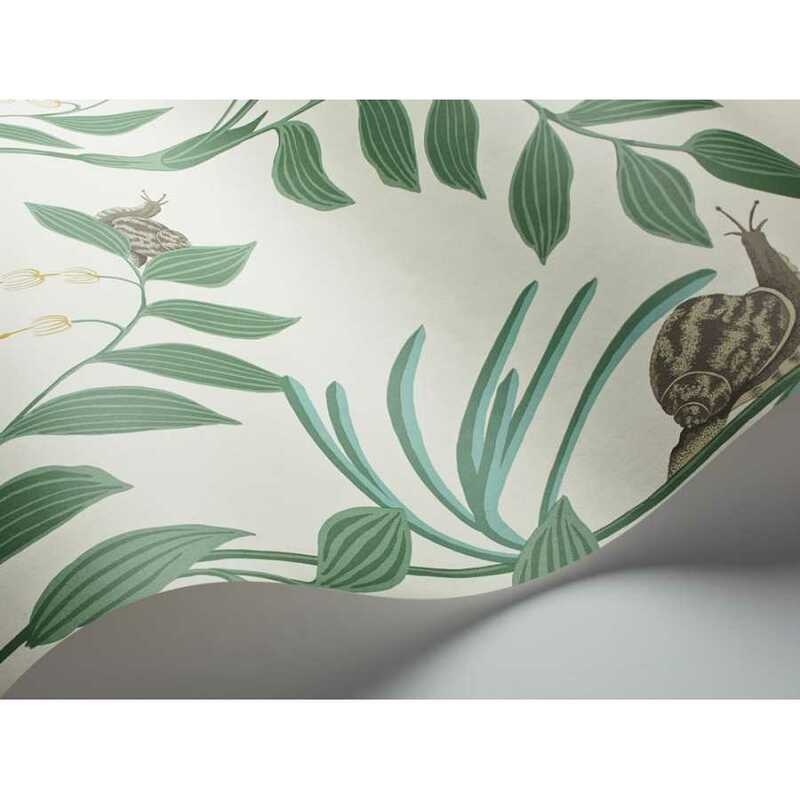 An amusing change from traditional foliage prints, Secret Garden also incorporates sea shells and garden snails in amongst the leaves and vines. In this 103/9030 colourway, the patterns and graphics are picked out in a rich emerald green. Each roll of Secret Garden wallpaper measures 52cm in width and 10 metres in length. It has a half drop pattern match and a 64cm pattern repeat.